BALANCE: Just Because We KNOW Something, Doesn’t Mean We’re DOING It. It’s the holidays and there seems to be so much to do! In my world, things always get a little flipped upside down when my step-daughter Eden comes to live with us for a month. Eden lives in Japan right now with her Mom and her Step-dad, who is a Navy doctor. They were stationed there last year, so we get a lot of extra travel time to Japan and then she comes and stays with us for big chunks of time about 3x per year. December is our time! 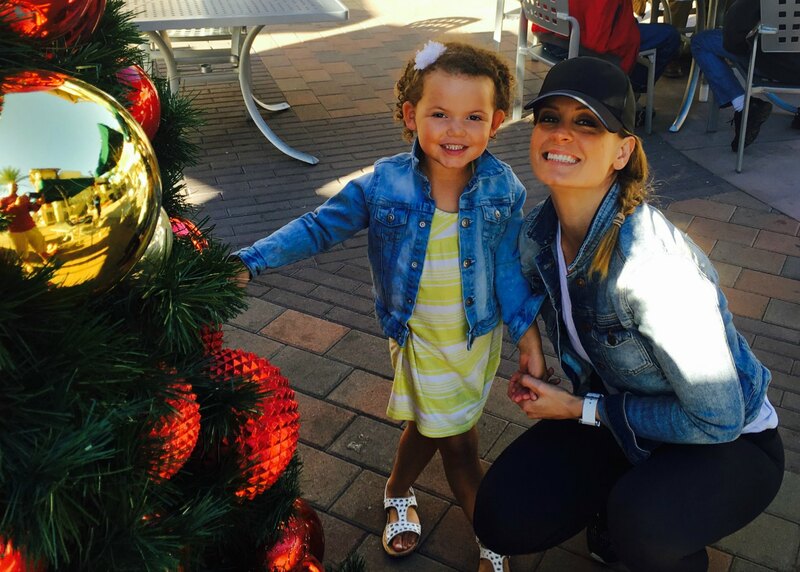 So, Eden is 3-years old, boisterous, beautiful and with a BIG personality! She’s hilarious and, as all 3-year olds are– a handful! You really have to get your energy right for her, for sure! The only THING about my life right now, is that I am in full swing of “Mandi the Entrepreneur.” In the health and wellness industry, obviously, January is a BIG time of year! I have been working for MONTHS now on a new website, a new membership program and now a 4-Part Webinar Series, TRANSFORMher Health 2016, on the 4 PILLARS OF HEALTH: BELIEVE, THINK, EAT, MOVE. This is a new platform for me, so it’s learning a lot of new “techie” things and trying to get everything “just so.” Needless to say, there are some ups and downs. Technology, as amazing as it is, provides a HUGE learning curve and a lot of expenses too! I have faith it will all pay off, but the first stage of this is NEW and a bit CHAOTIC. this entire series I am teaching (as well as some of the back resource tools I’m developing) are ALL about BALANCING our health and TIME MANAGEMENT. These two things, I am NOT doing very well right now. But here is where GOD is GOD, His timing is always PERFECT and He send His messengers to us just when we need them. Just as I am feeling this overwhelm from being out of balance in my life, there pops-up one of my favorite Podcasts I listen to every day from “The Daily Hope” by Rick Warren. What was the subject on? You guessed it—BALANCE. There were so many good notes from the 3-part series that I wound up taking about 6 pages of notes. You can catch this podcast HERE. You won’t regret it. So, because I have always been intentional about being completely open to you, my dear readers and to being completely authentic when speaking about my struggles and my difficulties in my health— physically, emotionally and spiritually—I felt it was appropriate that I go ahead and fess up that there are things I KNOW and can TEACH but am not currently DOING THEM. While so often, most of us want to keep up our appearances and try to convince the world that “we have it all together,” and then secretly we’ll feel like frauds on the inside and it plagues our souls. It can cause us to spin our wheels in an effort to keep up the charade. I’m gonna go ahead and skip all that guilt and exhaustion and just admit that I am not successfully balancing my life right now even though that is what I’m teaching on. I give this honesty, even with the tinge of fear added with it, because I know that when I live in MY TRUTH that I may just give you permission to live in YOUR TRUTH and as Jesus said, “The truth shall set you FREE.” So the solution for us both is to stop TRYING and to start TRUSTING in God. We need to give our daily schedules to God and let Him guide us in what to do. Ask God with every decision, “God, is this something you want me to do?” He will always guide us when we ask Him. He send His messengers and we will get the hint (just like Rick Warren was for me). When we operate from God’s timing, we have just enough time. He would not give us a list of things to do if He didn’t also give us enough time, power and resources to do it. 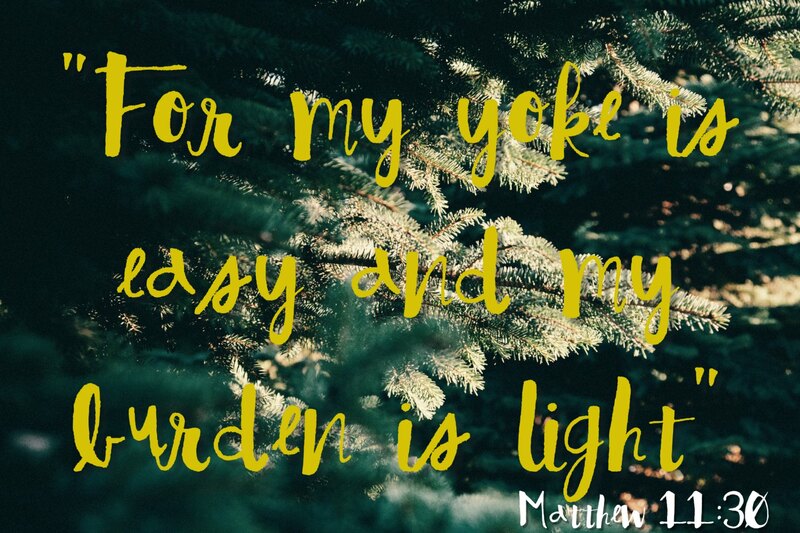 Jesus said in Matthew 11:30 “For my yoke is easy and my burden is light.” Pastor Rick pointed out that if we have a HEAVY burden right now, know that it’s not from God. That it might be just from YOURSELF and you would need to rid yourselves of the unnecessary “busyness” that is making your life and health unbalanced. So, in honor of me outing myself this week, I wanted you to be aware that I will be giving another FREE Live Training next week on Part 2 of my TRANSFORMher Health 2016 training. It will be ANOTHER great lesson that I myself need to hear. It’s on STRESS— “From STRESS to SUCCESS: 5 Ways to Negate the Stresses on Our Health.” If you missed last week, you’re not too late to the party! Sign-up now for and you’ll receive access to the video replay of last weeks health teaching on BELIEVE. This week, I’m not only going to give you a great workbook and tons of useful information, but you’ll also receive some special BONUS offerings including my personal ANTHEM PLAYLIST that I use for my stressful times! You won’t want to miss it! Sign up here. As you move ahead in this busy time of year, I encourage you to continue to ask yourself daily, “What am I doing that God doesn’t need me to do?” Have the Faith and the courage to let go of those things you think you “should” do and instead rest in the arms of God to lift you UP. Stop and enjoy this wonderful time of year!